ivid colors and rich textures evoke delight and comfort—and permeate the homes designed by Victoria Vandamm, an art major with a lifelong passion for creating masterpieces, whether they be paintings or interior spaces. Victoria entered the design field on the retail side in 1978, purchasing a Nettle Creek shop that sold furniture, bedding, fabric and accessories. 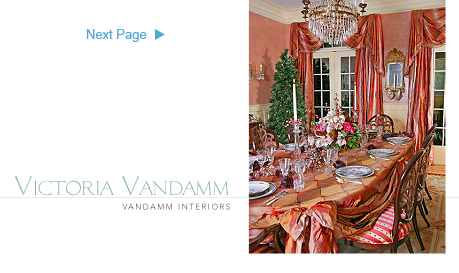 By 1991, she had moved her shop to Greenwich Avenue and renamed it Vandamm Interiors, focusing on interior design. She recently moved to the design studio of her dreams, featuring huge windows, as she feels that the natural light reveals colors and textures better than artificial light. Despite the size of the job, Victoria feels it is important to make a big impact. A Connecticut native, Victoria has worked all over the world. She has designed residential and commercial spaces across the country, from Beverly Hills to West Palm Beach to the mountains of Vermont. Abroad, her work can be found in England, France, Monaco and other locations throughout Europe. Yachts and sailboats, which are often second or third homes for her clients, are one of her favorite challenges due to the additional considerations of the marine environment. Victoria maintains that the interior designer is “the glue between the visions of the architect and the homeowner.” Intently focused on clients’ dreams and desires, she works diligently and enthusiastically to interpret and translate their lifestyles into their spaces, building styles and environments. The lighting and function of space is far different in a Vermont home than in a 16th-floor apartment in Florida or a stately home in Greenwich, and she constantly adapts her designs to reflect those differences. A color drenched Living Room takes high style from the Roberto Cavalli “Dark Lady” silk rug. 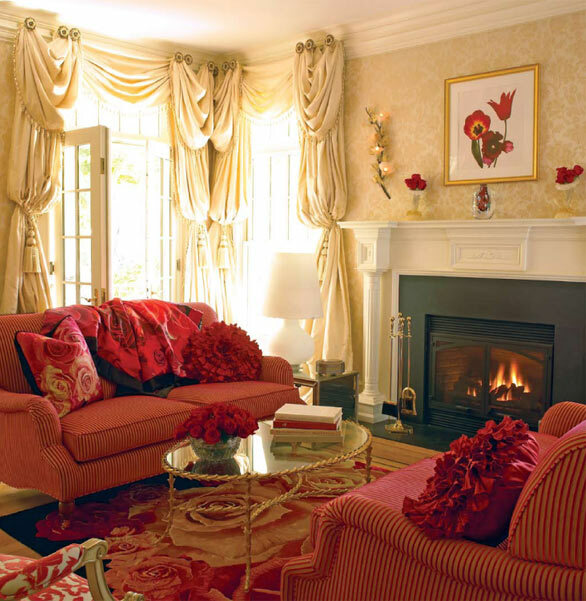 Damask upholstered walls and ball gown draperies create an opulent surrounding. A Dining Room meant to be a feast for all the senses. Layers of colors in the Venetian plaster walls are accented by the opalescent fabrics, family heirlooms, as well as contemporary furniture.